Welcome to Back In Line Chiropractic Spine and Injury, Your Paulding County and Cobb County Chiropractor! Dr. LaDonna Bense is a chiropractor serving the Dallas GA, Hiram GA, Rockmart, and surrounding area communities. 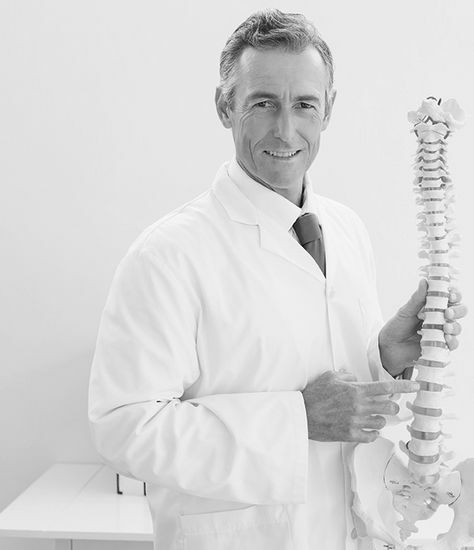 Our mission is dedicated to providing chiropractic care solutions specific to your unique needs. Whether you are suffering from back pain, neck pain, headache pain, muscle tightness or other painful symptoms, our chiropractor will help you with all of your chiropractic care needs. At our office, each patient is treated with compassion and given the personalized care they need and deserve. By utilizing safe and natural procedures, our chiropractor can provide the most effective treatment for your healthcare problems. If you are suffering from acute pain, chronic pain or a specialized pain syndrome, you will find our chiropractor can provide you with the relief you are seeking. Our chiropractor, Dr. Bense strives for excellence through superior patient treatment, education, and satisfaction. Within our website, Dallas, Hiram, and surrounding area residents, will find all types of health and wellness related information such as back pain, neck pain, migraines, headaches, muscle pain, auto accidents, sports injuries, sciatica, fibromyalgia, shoulder pain and many other conditons. You may find you have pain following a car accident, work injury, or a slip and fall. Our chiropractor, Dr. Bense, has over 19 years experience helping people with these condtions rid themselves of pain and improve their overall heath and wellness. From the moment you arrive at our office, we try to ensure that your visit to Back In Line Chiropractic Spine & Injury is a stress free experience. We accept most insurance policies and will process all the paperwork for you. Our friendly and courteous staff will answer any questions that you have about charges, insurance and visits. For our patients with little or no chiropractic coverage, flexible payment programs can be arranged. We even have family plans. During your first visit, Dr. Bense will explain how chiropractic care works and give you a complete examination to see if chiropractic care is the right choice for you. If our chiropractor can help, we will tailor a chiropractic care plan to meet your needs, goals and unique medical and physical condition. Finding a chiropractor who understands changing healthcare needs and the most current techniques and approaches to addressing health problems can be a daunting task. We hope that you will find this site helpful in learning more about our gentle chiropractic care as well as the ways that it can improve your quality of life. Call 770-505-5665 to get started! If going to see a chiropractor is new to you and you want to find out more, call 770-505-5665 to receive personalized answers to your questions from our friendly team. Also, please visit our TESTIMONIALS page (under patient resources) to see what our patients are saying about our Dallas chiropractor. If you would like to receive articles about chiropractic care and health and wellness, please subscribe to our monthly newsletter, even if you are not a patient. We are located northwest of the Atlanta Metropolitan area, in Paulding County near the west border of Cobb County. If you live in one of the Georgia communities located to the northwest of Atlanta such as Dallas, Hiram, Marietta, Kennesaw, Acworth, Lithia Springs, Mableton, Powder Springs, Villa Rica, Douglasville, Rockmart, and Fairburn, 30157, 30141 then you will find that Back In Line Chiropractic Spine & Injury will be a convenient location. At Back In Line Chiropractic we proudly recommend Choose Natural, a valuable web resource for people interested in natural health and healing. Visit ChooseNatural.com to learn more about safe and natural back pain relief and other natural alternatives to many other common symptoms.